As I was sitting here, thinking about the up coming holidays, my mind turned to the yummy dishes people make to share with friends and family. 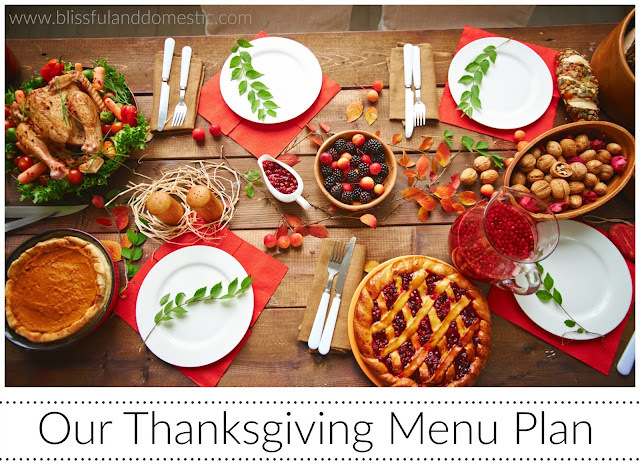 I thought it would be fun to share my family's menu plan for Thanksgiving and maybe you all could share your family favorites in the comments below. We'll start with the turkey. Turkey is one thing I love/hate to cook. I hate cleaning the turkey and I REALLY HATE pulling out the neck and gizzards. It totally gives me the heepie jeebies (not sure about that spelling??) I love a turkey though because they're so many ways to cook it and it truly is one of my favorite proteins! When you cook a turkey, you can do one of two things.... You can either freeze all the leftovers and use them in all sorts of recipes months later or you can binge on turkey for the following days. Growing up, we did the latter. 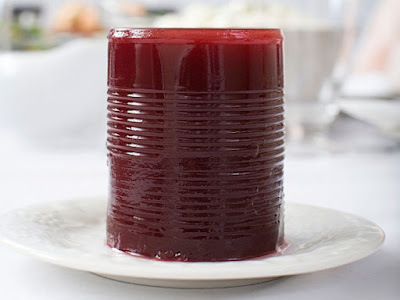 I have many fond memories of turkey day leftover munching sessions. We'd watch Christmas movies and enjoy all the delicious leftovers. Now that I have a family of my own, we do a mix of both options. I try to get the biggest turkey I can. We pull off as much meat as we can. We eat as much turkey as we want the first night, afterwards I bag up all the leftovers. I leave some in the fridge for turkey day leftovers and the rest is labeled and put in the freezer. This year I'll be making my turkey like I did in the video above. It's my go to turkey recipe :) I'll stuff the turkey as well with my favorite stuffing...basically two boxes of turkey stuffing, 2 apples chopped, celery, and craisins. I throw it all together and try to keep it on the dry side, that way it'll soak up some juice from the turkey. It is dang good! 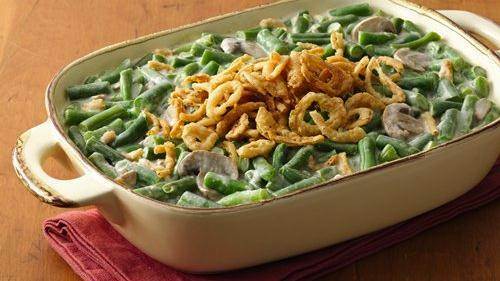 Next we'll have a Wagasky staple of green bean casserole. I follow the recipe on the can. The only thing I do differently is add 5-6 fresh mushrooms chopped, a handfull of cheddar cheese, and lots of pepper. Yum!! 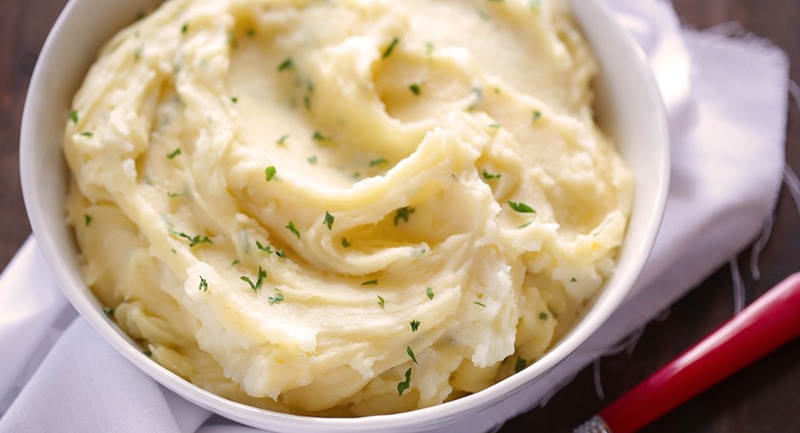 Mashed potatoes... Oh how I love me some mashed potatoes and gravy. I'll be using this recipe. I cook my potatoes in the pressure cooker and whip them with my mixer. I keep the skin on my potatoes to add some rustic charm. 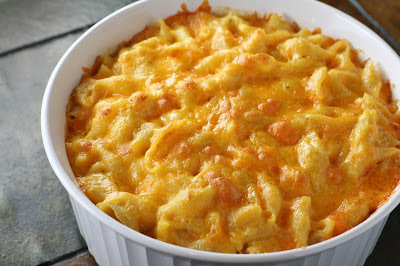 Macaroni and cheese. This is a new addition this year and was picked by the kids. Right now I'm not sure what recipe to use...any suggestions? I usually use Velveeta, but I haven't decided yet. Candied Yams. Another request from the red heads. I haven't made this one in years, so I'm looking forward to making this treat. I use two cans of yams, sprinkle with brown sugar, and top with marshmallows. Bake till marshmallows turn golden. Lots of cranberry sauce, which I snagged for 75 cents each at Winco last week. Woot!! Woot!! I'll also be making my dinner rolls, seen in this video. We can't have a family dinner without them :) Served with butter and honey.....Nom! Nom! Because somehow we'll find a way to have pie after eating everything else. We'll be enjoying a pumpkin pie and a pecan pie from Costco. You get your biggest bang for your buck and I haven't mastered the pie crust yet. It's on my list. Now I want to know what's on your turkey day menu. Let's share some tips, tricks, and recipes lovelies. Don't forget to save the turkey bones for soup! You can freeze that too, and have a yummy base for making stock for your next soup! Costco's pumpkin pie is the bomb! And you seriously can't beat the price! What are your favorite family movies for the holidays? My littles are still young, but I think they're ready to graduate beyond Charlie Brown. Thanks for sharing! Pie crust is so easy. The trick is to toss! Once you mix your flour and salt together and cut in your shortening, make a little well in the center and add your water by tossing each tablespoon of cold water in until your crust has pulled together. Then roll it out. I cheat though. I will press my crust in the pie plate cutting off extra as I go. Well done. Holidays can be very expensive. Your menu looks delicious and who says you nave to make it all yourself. The idea is to enjoy the day; with your family as well as enjoy the meal. I just wanted to say how great it is to read a blog like yours that is written from the heart. It's "real" and you're not trying to fit some image. Thanks! I enjoy reading your posts. I must try mashed potatoes with my pressure cooker! Sounds simple and amazing. I'm going to try making my mashed potatoes in the crockpot this year! Isn't Thanksgiving exciting! That is such a lovely photo of a Thanksgiving table. Is that your table? We always have the same foods for Thanksgiving Day - everyone wants it the same, no surprises. We like our traditions. Our menu is pretty close to yours. We'll be doing turkey (and we just love to gorge on the leftovers the whole weekend), canned corn too, rolls, mashed potatoes and gravy-I'm thinking of doing roasted potatoes too because I just love potatoes roasted with onion soup mix tossed with oil. We'll be doing cranberries only because I insist on having them to go with leftover turkey sandwiches. Nobody else in my house eats them. We always do a relish tray--with veggies, crackers and olives--kind of a finger food appetizer tray. I dislike stuffing like you wouldn't believe, so I'm very relieved that no one is requesting it this year. For dessert, we'll be having pumpkin pie, cream cheese pie and apple pie. My mouth is watering already!